Here you will find a complete list of hotels for all those who are interested in wellness and healthy lifestyle. If you need a rest after tiring working week or you do not feel completely fit then a wellness weekend on fresh mountain air is the right choice for you. Wellness hotels Harrachov offer a large variety of procedures where anybody will choose. We can recommend peaty or parafin wraps, ingredient baths, aroma massage, antistress or bulb massage, chocolate or honey massage, lava stones massage, reflex therapy, inhalation, kneipp´s bath, subaquatic massage and many more. Wellness hotels can provide even basic medical examination and set up an individual relaxation programme. Due to wellness hotels Harrachov provide a large offer of services and procedures we highly recommend to check the availability in the chosen wellness hotel and eventually to book procedures in advance. 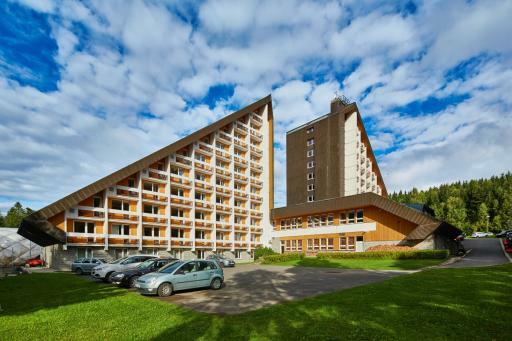 The direct contact to all wellness hotels in Harrachov you will find in the right part wellness hotels Harrachov. You will be astonished with the price. 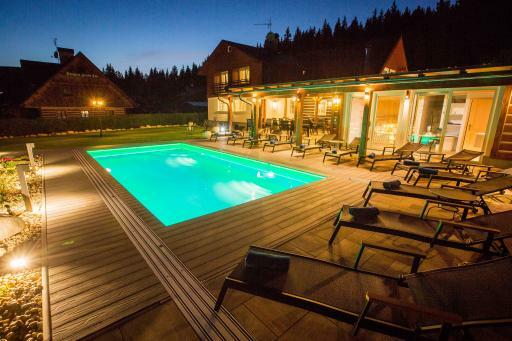 A wellness stay in Harrachov can be bought from 1.990,-CZK/weekend. Come to stay, your health is worth to invest. We believe wellness hotels Harrachov will fulfill your expectations and you will come back again.